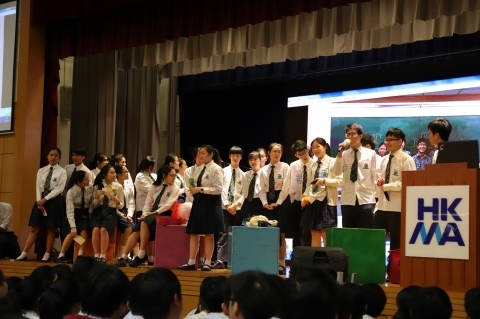 The Guidance and Counseling Team organized a farewell activity for S6 students during Friday Afternoon Assembly on March 1. 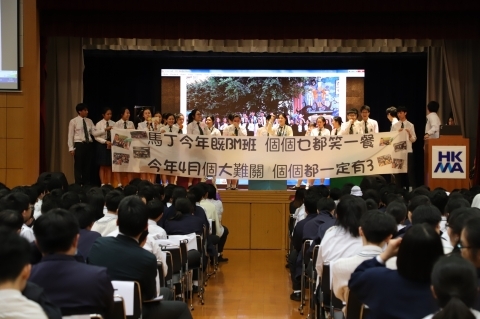 The activity aimed at promoting a respectful and encouraging atmosphere in school. 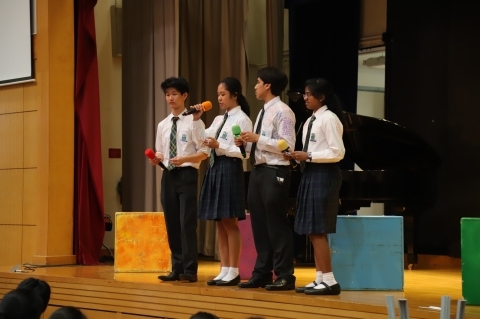 It also provided a platform for S6 students to show appreciation for the guidance and support rendered by their teachers and schoolmates over the past years. This year, the S6 students worked on a class-basis to come up with ideas to express gratitude towards their teachers, such as making video clips, delivering a thank you speech, singing and presenting gifts. 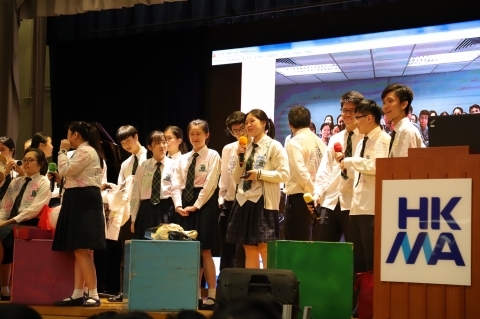 These activities gave S6 students a chance to share their good memories of secondary school life with their teachers and fellow schoolmates, and at the same time take a break from their studies to cheer themselves up prior to the HKDSE exams. It was a memorable day for both the S6 students and their teachers. For the junior students, they were inspired to treasure their time at the College and set goals to realize their dreams. 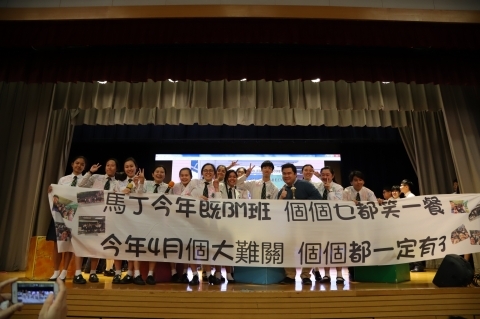 We wish the S6 students every success in the HKDSE exams and hope that they will continue to maintain close ties with their alma mater after graduation.